Pronoia Institute > Blog > Uncategorized > Preparing for Flu Season…Naturally! “Over 200 viruses cause ILI, which produces the same symptoms (fever, headache, aches, pains, cough and runny nose) as influenza. Without laboratory tests, doctors cannot distinguish between ILI and influenza because both last for days and rarely cause serious illness or death. If 71 people have to be vaccinated in order for a single case of influenza to be avoided, this means that flu shots have a rather abysmal effectiveness rating. And it isn’t surprising that flu shots have “little or no appreciable effect on hospitalizations or number of working days lost,” considering its ineffectiveness at preventing illness. Similarly, while many assert that getting vaccinated will render flu symptoms less severe — should it fail to protect you after all — there’s really no good evidence for this either. So what other natural and alternative options do we have for preventing and treating the flu? Studies have repeatedly demonstrated the excellent track record of vitamin D for preventing respiratory infections. Most recently, a 2017 scientific review5,6 of 25 randomized controlled trials found that vitamin D supplementation cuts rates of acute respiratory infections among all participants. The studies included nearly 11,000 individuals from more than a dozen countries, and showed that people who regularly took vitamin D supplements were less likely to contract acute respiratory tract infections compared to those who did not take supplemental vitamin D. Those with blood levels below 10 ng/mL, which is a serious deficiency state, cut their risk of infection by half. People with higher vitamin D levels reduced their risk by about 10 percent. According to this international research team, vitamin D supplementation could prevent more than 3.25 million cases of cold and flu each year in the U.K. alone.7 Another statistic showing vitamin D is a very effective strategy in preventing respiratory illness during the flu season is the NNT. As mentioned at the beginning of this article, the Cochrane Collaboration concluded in 2014 that the NNT for the flu vaccine is 71. In this 2017 respiratory infection study, the NNT for vitamin D was 33, meaning one person would be spared from acute respiratory infection for every 33 people taking a vitamin D supplement. Among those with severe vitamin D deficiency at baseline, the NNT was 4. If you’re going to gamble, which odds would you rather have — a 1 in 71 chance of being protected against respiratory infection, or a 1 in 33 chance (or 1 in 4 should you be severely vitamin D deficient)? In my view, optimizing your vitamin D levels is one of the absolute best respiratory illness prevention and optimal health strategies available. 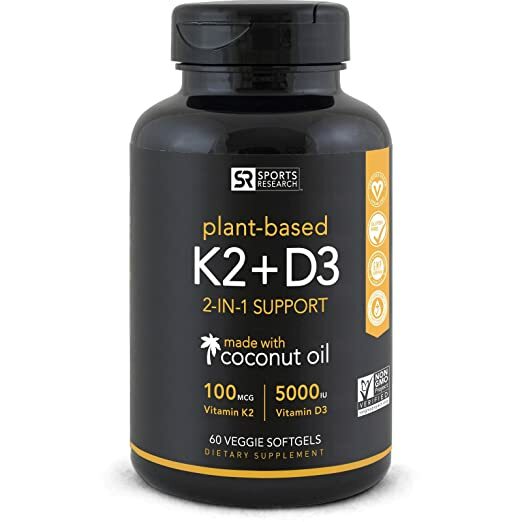 Here is a great vegan vitamin D supplement to take on a daily basis, especially during the winter months when getting optimal sun in the middle of the day can be challenging. “In the mice, instillation of influenza virus A/Udorn/317/72(H3N2) intranasally resulted in a significant decrease in the pulmonary concentrations of catalase, reduced glutathione and superoxide dismutase … These effects were observed on the 5th day after viral instillation. By attenuating oxidative damage, it also lowers your risk of secondary bacterial infections, which is actually the primary cause of influenza-related deaths. 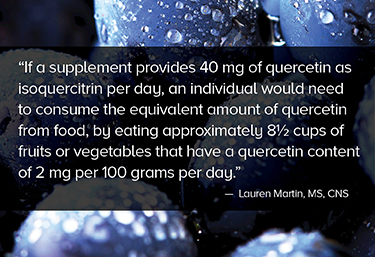 Importantly, quercetin increases mitochondrial biogenesis in skeletal muscle, which suggests part of its antiviral effects are due to enhanced mitochondrial antiviral signaling. Aside from vitamin D and quercetin, maintaining good levels of vitamins B1 and C may go a long way toward keeping you healthy through the flu season and beyond. Influenza has also been treated with high-dose vitamin C,26 and vitamin C also boosts the effectiveness of quercetin. Taking zinc lozenges at the first sign of respiratory illness can also be helpful. 4 CDC, December 21, 2015 Influenza Vaccine Effectiveness: How Well Does the Flu Vaccine Work? 25 Phenol-Explorer, Database on polyphenol content in food, Food composition; http://phenol-explorer.eu/contents/polyphenol/293(Accessed October 18, 2016).